huffingtonpost.com - New year, new books. At least, that’s what we wrote back in December, when we were just starting to add titles to our 2017 reading lists. Now that we’re nine days into the new year, our to-read list has only grown. And while our first book preview was filled with all the fiction you could handle, we wanted to take a moment to talk about the incredible wave of nonfiction we’re expecting this year, too. Particularly, we’re talking about nonfiction from women authors ― because a single year that includes memoir and essay collection releases from the likes of Roxane Gay, Patricia Lockwood, Joan Didion, Yiyun Li, Mary Gaitskill, Samantha Irby and Camille Paglia is worth celebrating. 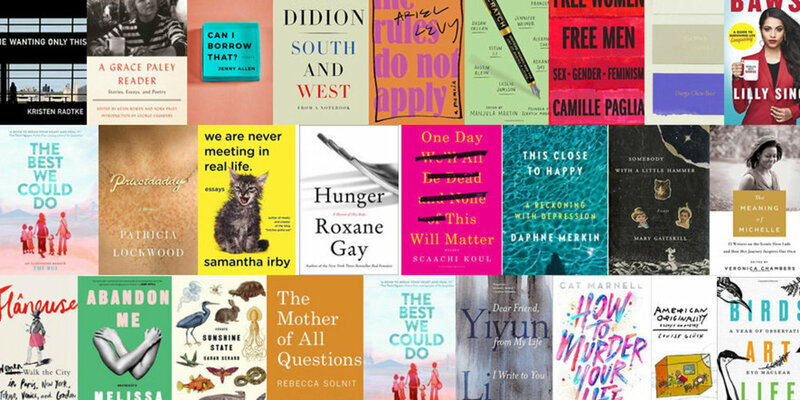 Behold: 27 nonfiction books by women everyone should read this year.